Traci Redford, the girl's mother, spoke out about their experience on Wednesday. She told how the unidentified Southwest agent ridiculed her daughter as they boarded a flight at John Wayne Airport in Orange County, California, on November 4 after she handed over their boarding pass. They were flying home to El Paso, Texas, at the time. Not only did she laugh loudly at the gate, but the agent also uploaded a photograph of the boarding pass onto Facebook to share with friends. Traci said Abcde was upset and confused by the incident. 'She said "Mom, why is she laughing at my name? And I said not everyone is nice and not everyone is going to be nice and it's unfortunate,"' she told a foreign publication. Redford said she was horrified enough when the agent laughed in their faces at the gate. 'The gate agent started laughing, pointing at me and my daughter, talking to other employees. So I turned around and said, "Hey if I can hear you, my daughter can hear you, so I'd appreciate if you'd just stop,"' she said. When she was later told about the post on Facebook, her disgust worsened. 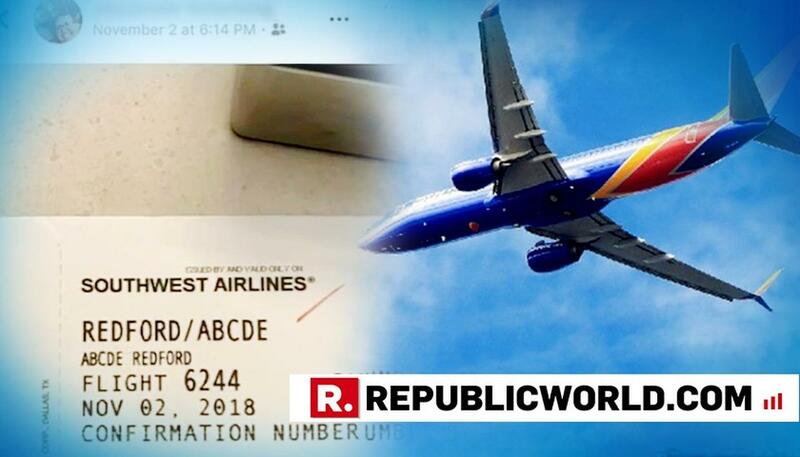 'While I was sitting there, she took a picture of my boarding pass and chose to post it on social media, mocking my daughter. It was actually brought to my attention by somebody who had seen it on Facebook and reported it to Southwest Airlines. And after two weeks of doing a formal complaint, Southwest hadn't done anything,' she claimed. Southwest Airlines issued her an apology but refused to reveal whether or not the agent has been fired or faced any other kind of disciplinary action. 'We extend our sincere apology to the family. We take great pride in extending our Southwest Hospitality to all of our Customers, which includes living by the Golden Rule and treating every individual with respect, in person or online. The post is not indicative of the care, respect, and civility we expect from all of our Employees. We have followed up with the Employee involved, and while we do not disclose personnel actions publicly, we are using this as an opportunity to reinforce our policies and emphasize our expectations for all Employees,' the company said in a statement.